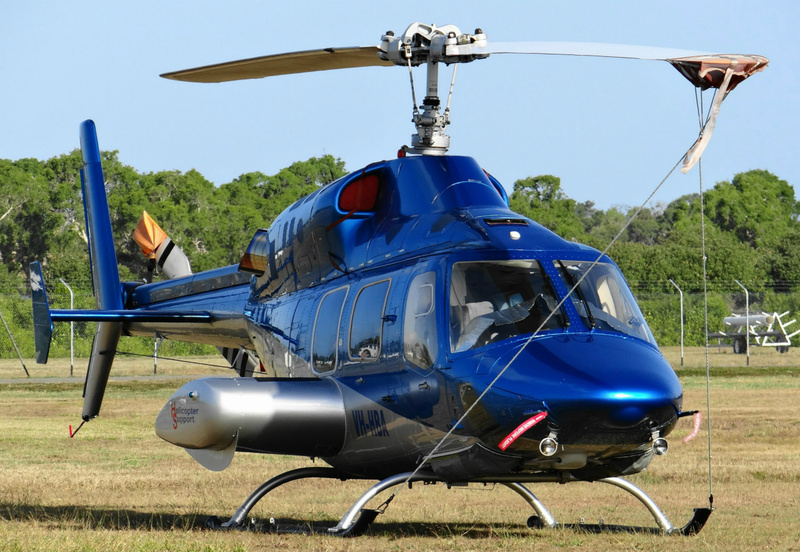 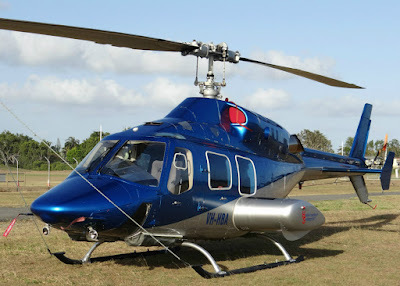 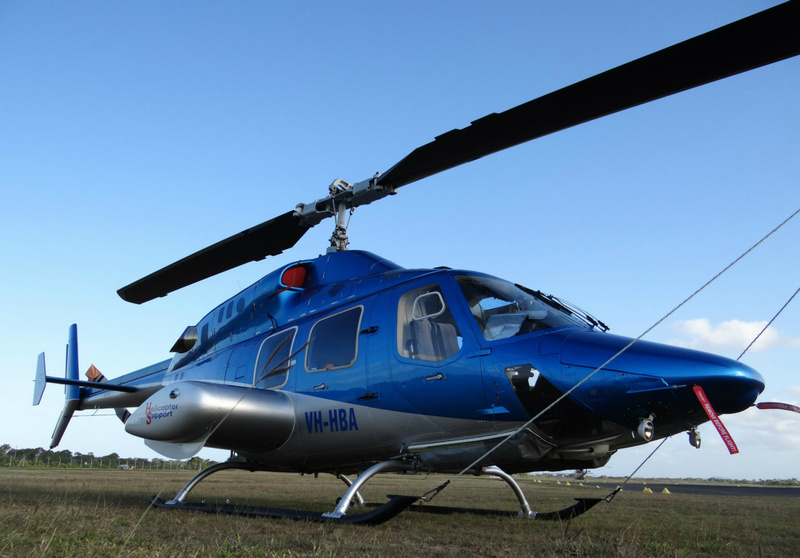 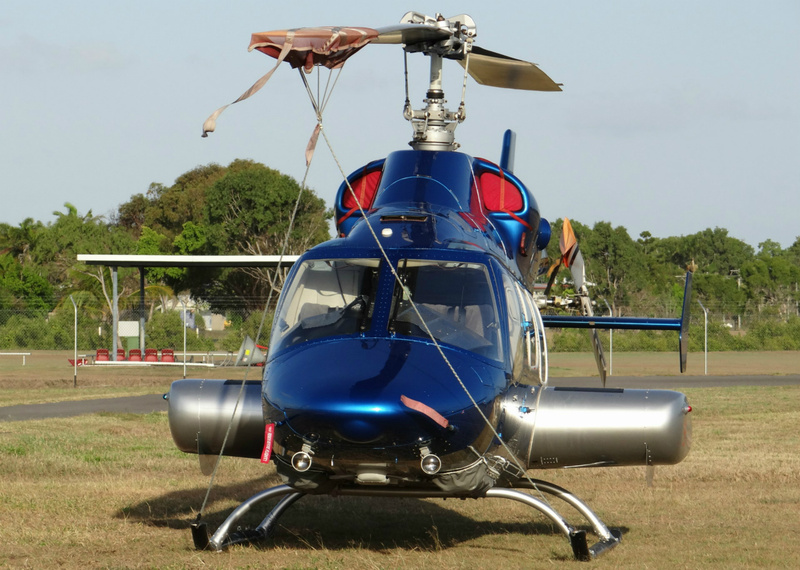 After a relatively short period of service with Mackay Helicopters, a fully owned subsidiary of the Aviator Group, 1983 build (c/n 47505) Bell 222UT VH-HBA has been withdrawn from operation and unlikely to become airworthy again. Reportedly flown from Mackay Airport to Gladstone Airport earlier this year, VH-HBA is now stored in the hangar of sister company, Gladstone Helicopters, where it is gradually being cannibalised of useable components. 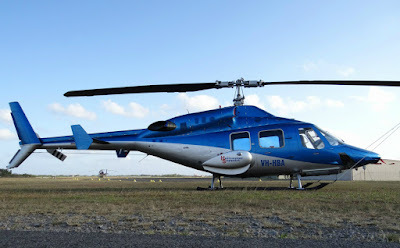 While it has been difficult to learn the full history of VH-HBA, did however identify the chopper spent a number of years in service with the United Arab Emirates Air Force (UAEAF) as UAQ-1 and with a number of US based operators including Omni Energy Services Corp as N911EC before arriving on Australian shores in May 2013. Pictured below in happier days is Bell 222UT VH-HBA resting between flights at Mackay Airport in October 2014.